Well, this is the matchup that we have all been waiting for in the Big Sky. Weber State and Montana were one and two in the Big Sky before the season began, have held those two spots all year long, and so it is only fitting that they will meet on Wednesday night to decide the Big Sky champion. They split their regular season meetings, and so this will be a true rubber match for all the marbles. It should be fantastic. Let's preview it. Montana won the Big Sky regular season title, and as a result the deciding game will be in Missoula. They finished 15-1 in the regular season in conference, and 24-6 overall, winners of 13 straight and 19 of 20. Not many teams are hotter than them in the country. Weber State finished 14-2 in the Big Sky, becoming the first team in conference history to have only two losses and not win the conference outright. They are 24-5, and have merely won 18 of 20. As they say, it's on. In the semifinals, Weber State was trailing for 35 minutes, as Portland State gave them all they could handle before winning 69-63. For Montana, they bested them again... Eastern Washington was controlling the game for 38 minutes before they pulled away for the 74-66 win. Neither team had the chance to rest easy before this one. Obviously they are led by Damian Lillard, one of the best players in the country. He sets the tone for them. They shoot the ball very well normally, as they were almost 38% from downtown this year. They led the country in FT percentage, so you certainly do not want to be trailing them late. Also led by Lillard is the fact that they do not turn the ball over often... just a 15.9 TO Rate, sixth best in the country. Over the course of the year they have gotten some solid depth. Freshman Gelaun Wheelwright has become a playmaker off the bench, and that was never more evident than in the semifinals against Portland State, where he had 15 points. Byron Fulton is a diversified offensive player, who can take you down on the block, but also shoots 44% from downtown. They will have the edge on depth over the Grizzlies. As always under Wayne Tinkle, they are a very good defensive ballclub. Their DRtg is 92.3, which is 29th in the nation even though the Big Sky was a pretty efficient offensive league. They are led here by Will Cherry, the best defensive player in the conference and one of the best perimeter defenders in America. He can get a steal at anytime and convert it to an easy two points. Art Steward is a guy at the 3 spot that is tough as nails - it will be fun watching him match up with Kyle Bullinger. Offensively, the Grizzlies are very balanced. Five guys score at least 8.8 PPG (and Derek Selvig is the guy that scores that much... he averaged double figures last year). Will Cherry averages 16.1, but Kareem Jamar is also very dynamic in the backcourt. Cherry, Jamar, and Selvig are all above average passers, meaning you always have to account for your man when you are guarding the Grizzlies. This is one of Tinkle's best offensive teams. They have shown themselves to be surprisingly susceptible to zone defenses, as they really struggled in the last meeting with Montana, and saw a lot of it against Portland State as well. They are sometimes content to just jack up threes rather than taking the ball aggressively to the basket, and this can cause their offense to lack flow. You can bet that they will see a lot of zone defense on Wednesday night. Another thing is that they are not susceptible to being outrebounded. Chehales Tapscott had a big day on the offensive glass against them, and that will happen. Their best big man (Kyle Tresnak) is a very average rebounder, so it's important that guys like Lillard hit the glass hard. Kyle Bullinger is a very good rebounder out of the SF spot, but they have been going small and putting in Wheelwright for him at times. Bullinger had a nasty elbow injury early in the season, and doesn't seem to quite be the same player that he was before the injury. They don't have a lot of depth. After their starting five, things get spotty. Shawn Stockton is their first backcourt sub, but he is very limited. Mike Weisner is probably their first frontcourt sub, but he is a freshman that has not gotten a lot of minutes this year. As The Upset Blog noted on Twitter tonight, their starters played a lot of minutes Tuesday night. Cherry played 40, Selvig 37, Jamar and Ward with 35, and Steward with 31. Jamar was battling leg cramps for much of the night, and Cherry took a very hard spill late in the game. They will be a bit beat up heading into the championship. Another thing is that even though their offense is good, they are not necessarily explosive. They rely on their defense a lot of times for offensive runs, which might not work as well against a team that doesn't turn it over a lot. They shoot the three ball well, but they don't shoot a lot of them. They are solid at getting to the line, but not outstanding. Their offense is just very good... but it has not often been called great this year. In the first meeting between these teams, Weber State won by 16 at home, really taking it to Montana. In the last meeting, the Grizzlies won by 15, thanks to a great defensive effort by them and a passive offensive effort by Weber State. 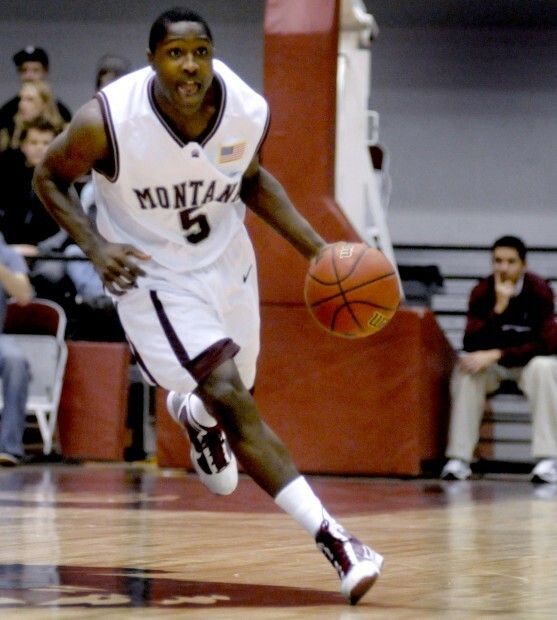 This game will take place in Missoula, which is one factor counting in Montana's favor. 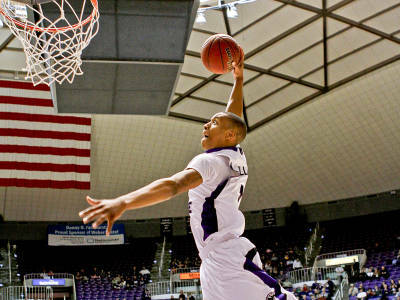 However, I just have a feeling that Damian Lillard and Weber State are going to pull something off. Both WSU and Montana looked sluggish early in their semifinal games, but both began to play well late in the game, so rust will not be a factor. Weber State will be helped by that extra depth, which is a big factor when playing your second game in as many nights. In their last meeting, Montana controlled the game from the middle of the first half on, and you got the sense watching the game that Weber State couldn't play much worse. Still, they only trailed by five late in the second half, and it was a competitive game for most of it. Montana won because Weber State couldn't do much against the press and zone, but I think they started to figure that out by the end of the PSU game. Finally, Weber State still has a bad taste in their mouth from a couple of years ago. You remember the game. Big Sky tournament final in Ogden, UT. Weber State led Montana by 20 at halftime, and looked to be cruising to the NCAA tournament. Then Anthony Johnson happened. He scored 34 in the second half (40 for the game), as Montana came back for a surreal 66-65 victory. Damian Lillard was the leading scorer for the Wildcats that game, and the Big Sky MVP that season. Kyle Bullinger was in the starting lineup. Those guys remember that game, and the feeling it left them with. I don't think they will let another opportunity slip through their fingers. I felt the same way as you after watching last nights games. I would go with WSU. I kept thinking what if the Wildcats were playing them watching EW drive in for layups. Grated WSU didnt play their best game either, but like you said about the depth and Cherry was in pain after the game. But..as I write this the Grizz is up 10 under 5 min. to go after trialing all 1st half. Thats a tall order to come back on that defense late, I guess we were both wrong.